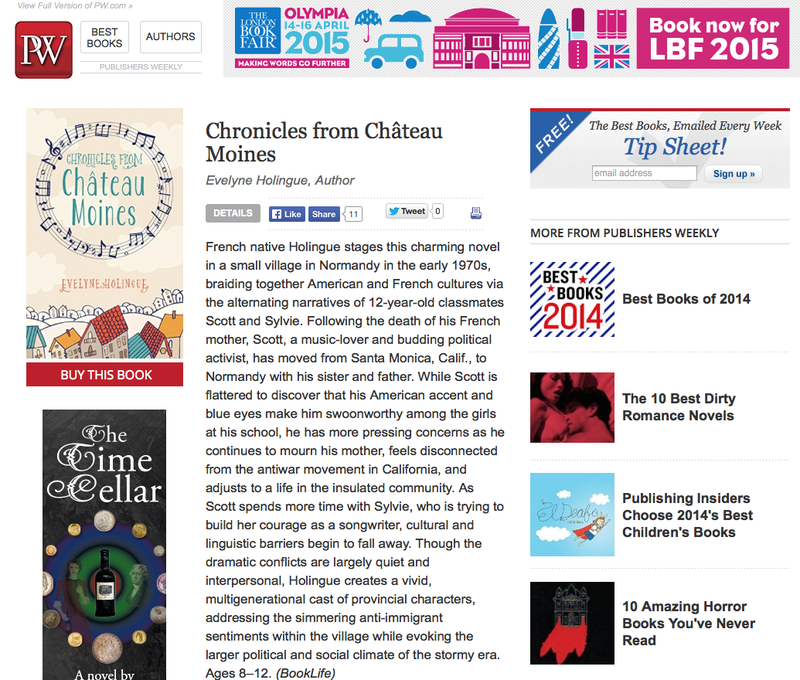 I am pleased to share with you what Publishers Weekly wrote about my Middle Grade novel Chronicles From Château Moines. Through my blog posts, my stories, and novels I share snippets of my life, a delicate balance between two languages and two cultures, and my affection for the USA and France, my two homes on earth. My writing illustrates my journey as a non-native speaker. I am a work-in-progress and practice is what I get to make it better. Practice and readers’ support, and once a while a professional review that sustains my goal.